I was designated dessert for our family Christmas Eve dinner. Sugar cookies weren’t going to work, and my mom was “cheesecaked out,” which vetoed my first idea. After scouring one of my beloved Pinterest dessert boards, my husband and I came up with the idea for these Christmas Pizookies. (If you don’t know what a pizookie is, here is my original pizookie post.) 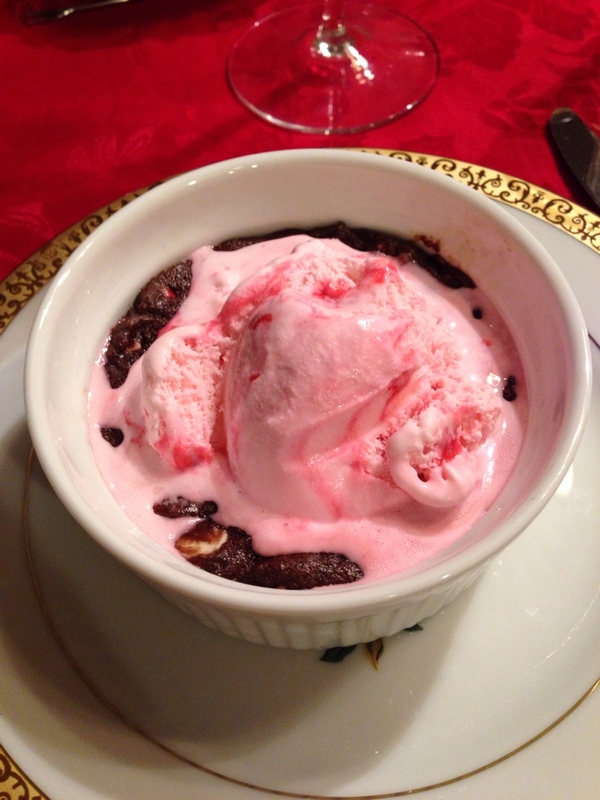 They are a chocolate cookie base with peppermint and white chocolate chips, topped with peppermint ice cream. 1. Beat butter and sugars. Add eggs and vanilla. 2. In a separate bowl, whisk together the flour, cocoa, salt, and baking soda. Slowly add to wet mixture. 3. Stir in chips by hand. 4. Let dough chill for at least 2 hours. 5. Press dough into ramekins or shallow dishes. 6. Bake at 325* for 20-30 minutes, checking every couple minutes for doneness. You want them to be dry looking but not necessarily all the way baked through. 7. 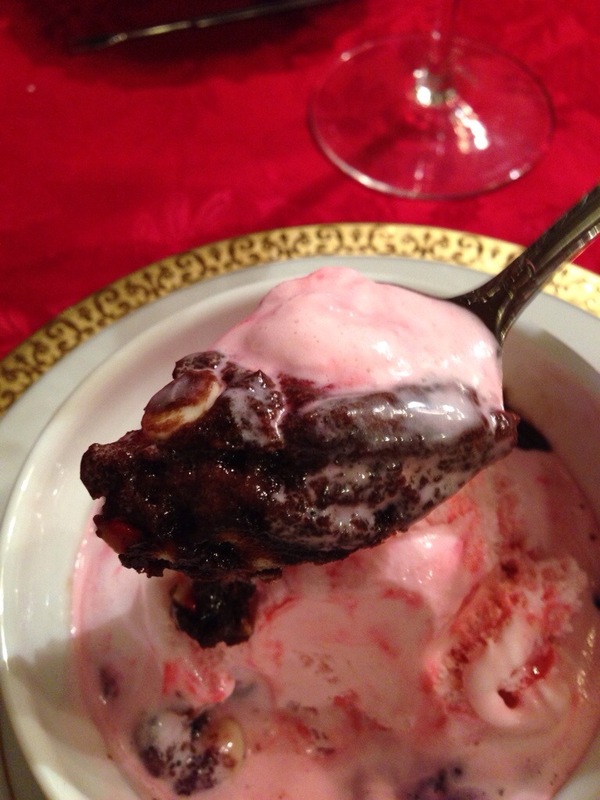 Top with a scoop of peppermint ice cream while still warm. I ended up being crazy busy when it came time to put these together, so my husband got everything ready per me calling out directions and measurements. He did a great job! I made peppermint patties. As in the York type. I wouldn’t have thought it would be possible for them to taste as amazing as they did. After one bite my jaw dropped… and after the second bite (to make sure I wasn’t dreaming) I had to snap this photo and send it to my husband and brother. 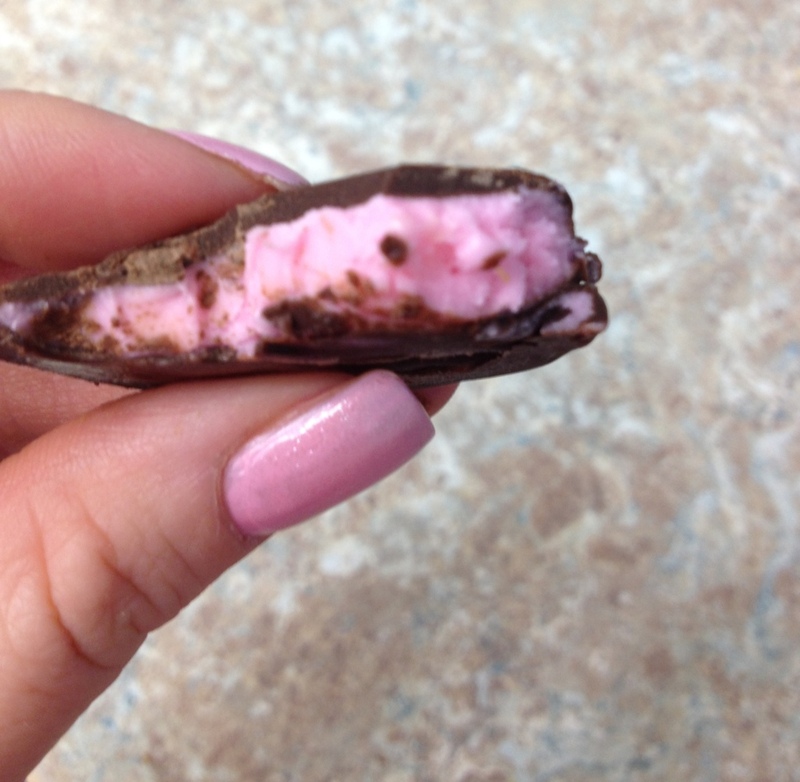 I’ve seen homemade peppermint pattie recipes before, but this one seemed so easy and quick that I decided it was time to give it a try. 1. 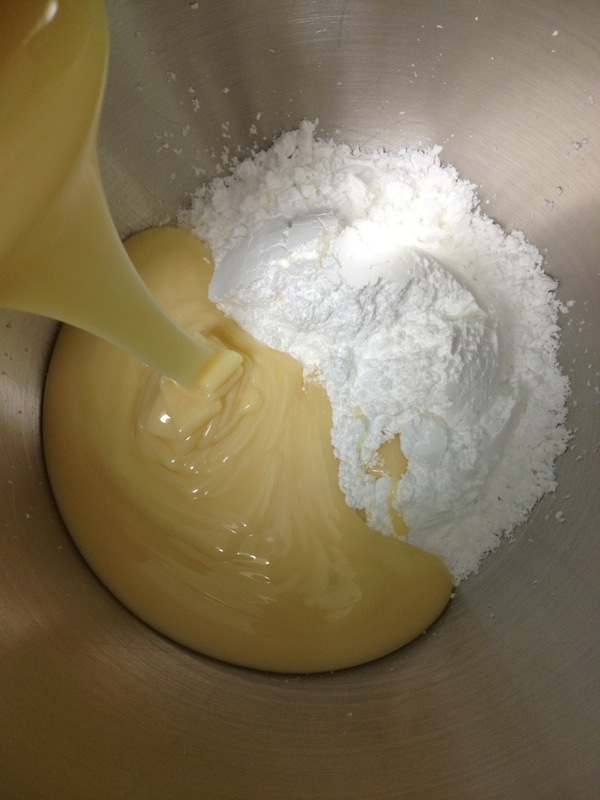 In a large bowl, mix together 2 cups of powdered sugar, the sweetened condensed milk, and the peppermint extract. Mix on medium speed until everything is incorporated. 2. 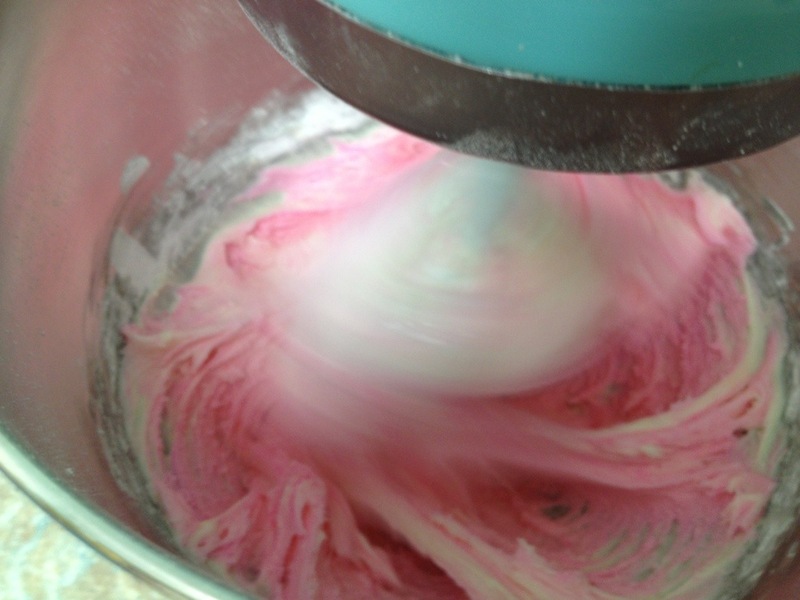 Add food coloring if desiered. Add remaining powdered sugar, 1/2 cup at a time, until all is incorporated. Candy mixture will be thick and sticky. 3. Line a few baking sheets with wax paper and make room in the freezer. Prepare to get messy. 4. 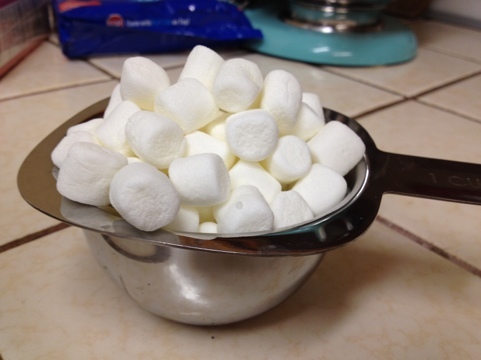 With a spoon or spatula, grab a dollop of candy about 1″ in diameter. It’s going to be very very messy so just do the best you can with it. You want them to eventually be disks on the wax paper, about an 1″ or so apart. The original directions say to make a ball then press it flat on the wax paper. 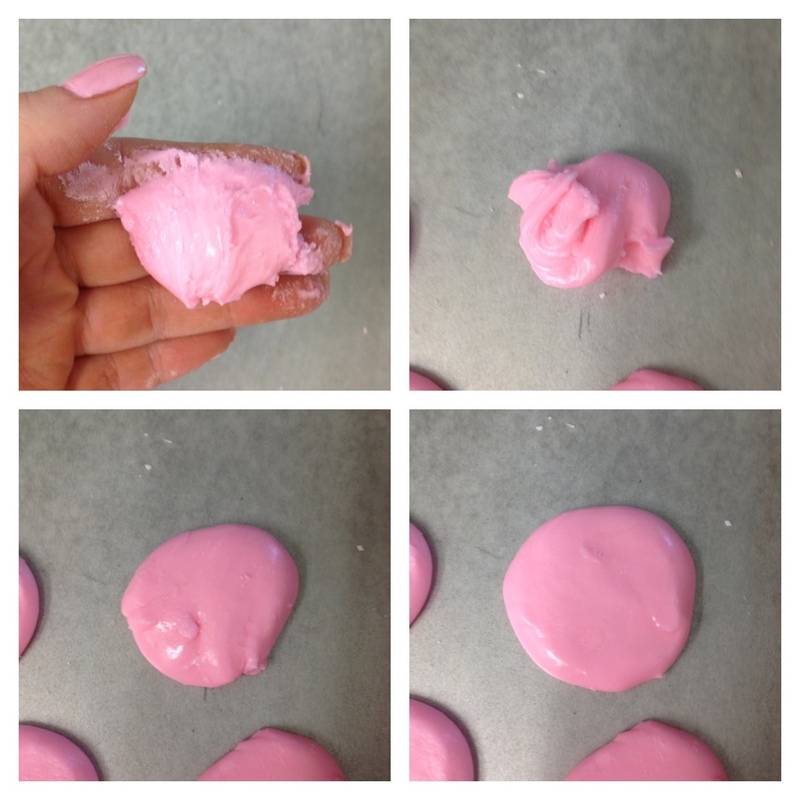 I found it was easier to plop the dollop on the wax paper, use my fingertips to push the edges into a round shape, then carefully pat down the top until it’s smooth. 5. Once an entire pan is full, put it in the freezer for at least 30 minutes. 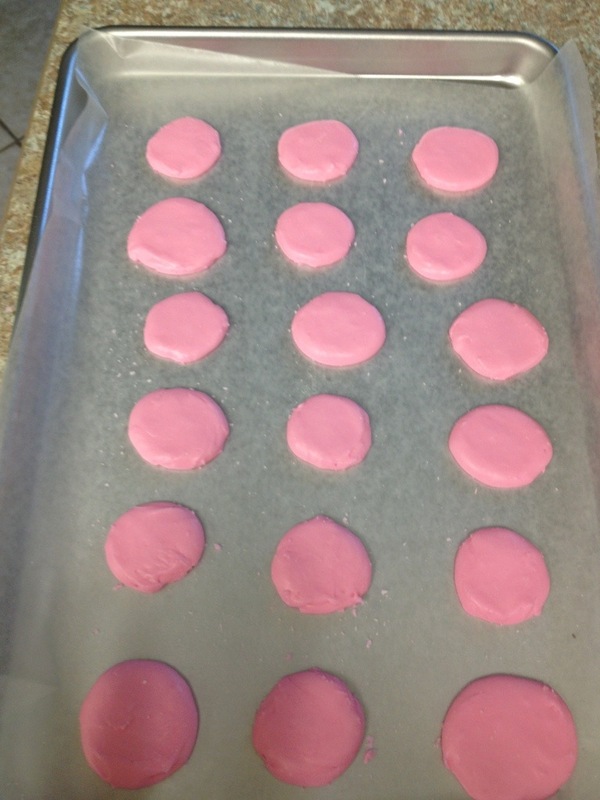 I ended up with 3 trays full of these little pink patties. 6. 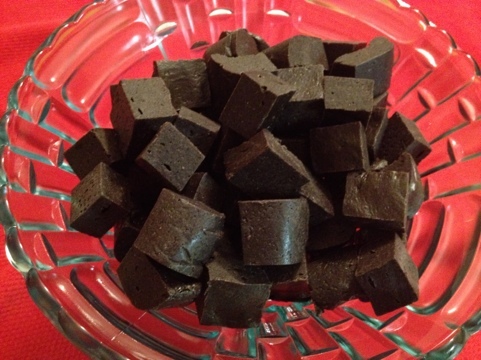 Melt chocolate chips or candy melts in the microwave in 30 second intervals, stirring after each time. 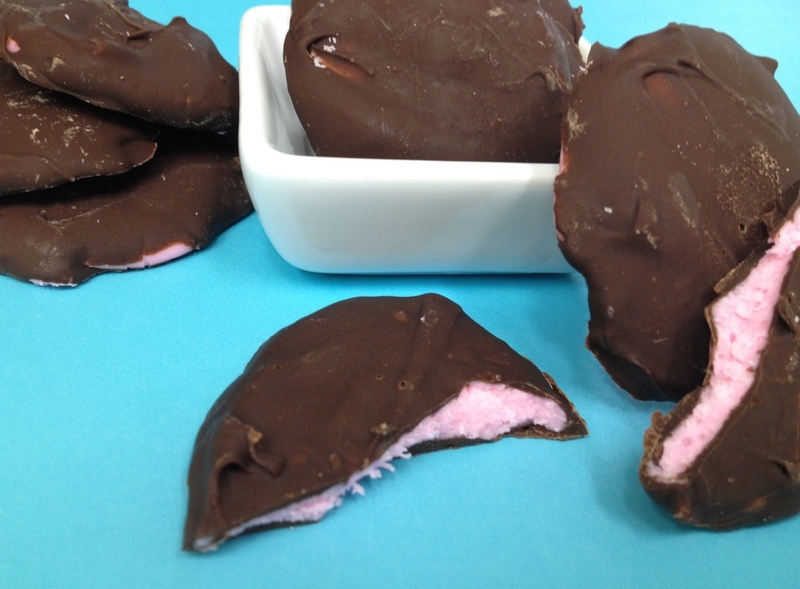 Once smooth, remove a pan of peppermint patties from the freezer. Peel off one of the disks, coat it in chocolate, and lay it back on the pan to set up. I found it easier to dip these with my fingers. (They don’t freeze completely solid, so when I used a fork the pattie drooped over the edge of the fork while I was tapping off the excess chocolate.) It’s messy doing it with your fingers, which is why I didn’t get any photos of this step. I had no one else home with me to snap them! The patties soften to room temperature quickly, so I could only dip about 6 at a time before I had to return the pan to the freezer and switch to another pan. During that time the chocolate coated ones hardened and could be removed to the fridge (or to my mouth). 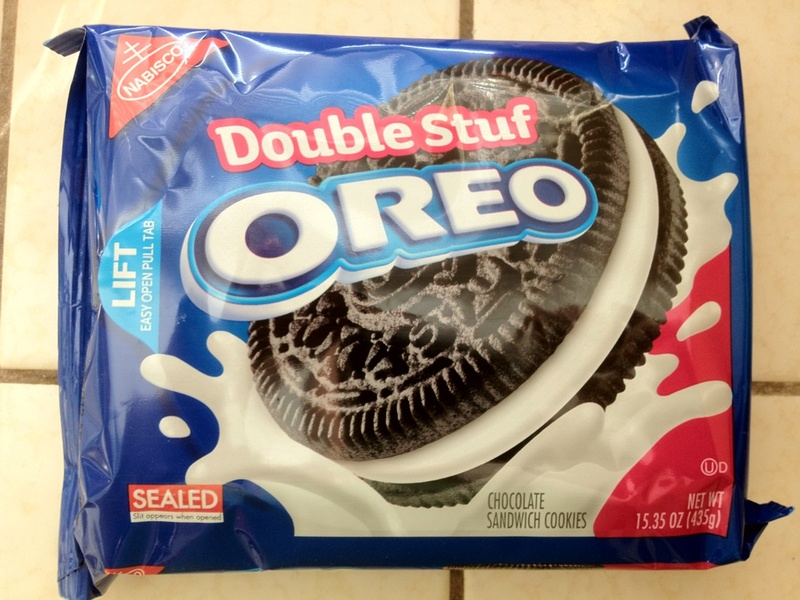 The dipping was long and aggravating, but TRUST ME, I realized it was worth it once I bit into that first one! Store in the fridge or freezer. And be sure to share, this recipe makes a ton of these! I have been itching to make Christmas desserts for a while now, and I have been listening to Christmas music for weeks. 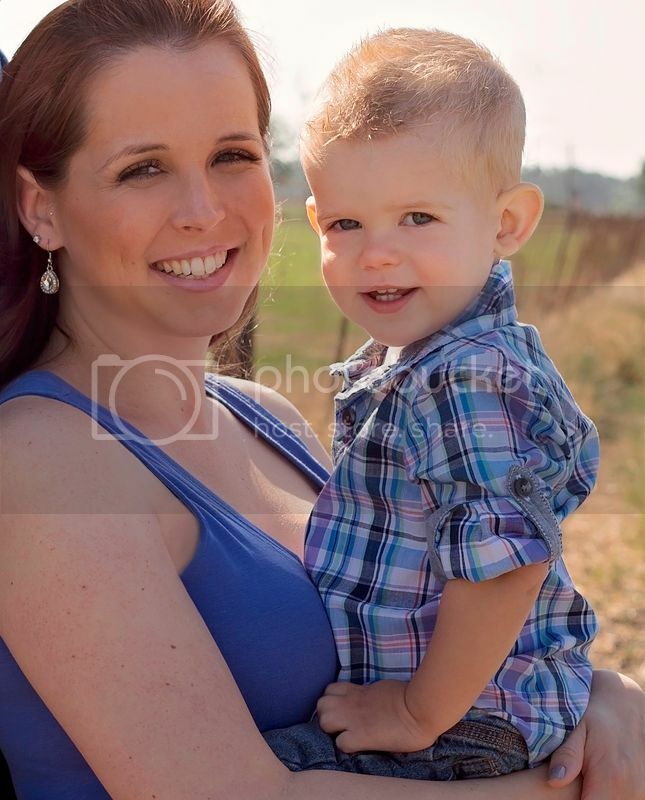 It is my firm belief that Thanksgiving is about food and family (and football if you ask my husband), and about being thankful for all that we have. To me, Christmas means much the same, with the addition of giving and sharing. It is just another step in the holiday season and there’s nothing wrong with Christmas decor/excitement/music/shopping coming before Thanksgiving. (I know Jennifer agrees with me!) My husband definitely does NOT agree, but he did bring in my decoration boxes last night, so I can officially get going into the holiday spirit properly. To celebrate, I made brownies! 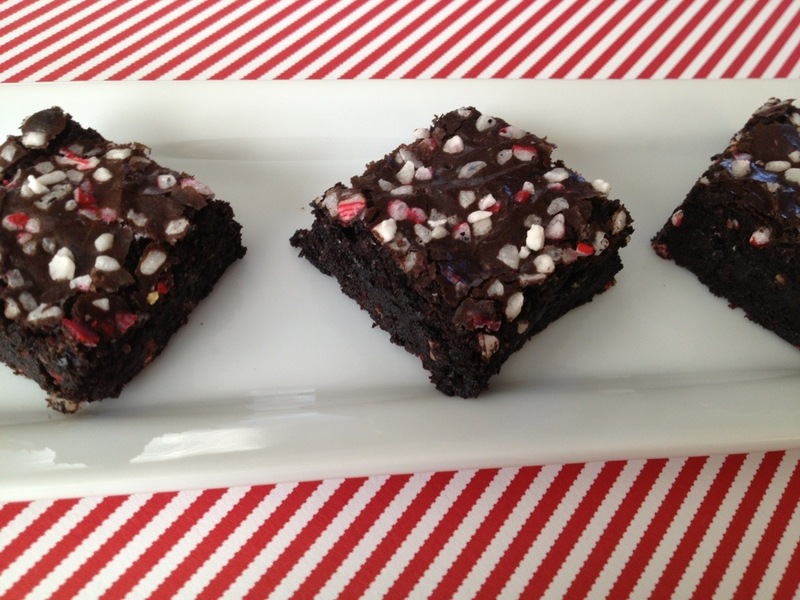 Dark Chocolate Peppermint Brownies. 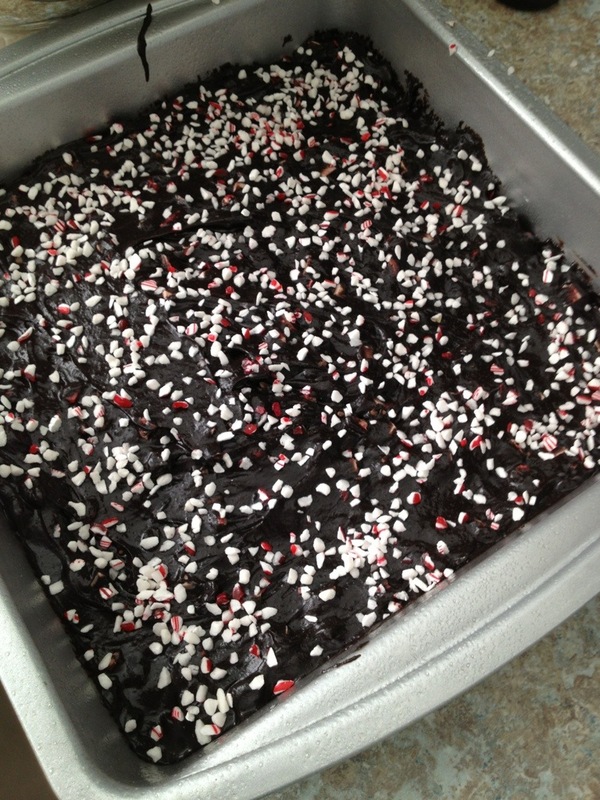 Because nothing screams Christmas like the classic combo of chocolate and peppermint. I found these gems at Cost Plus World Market right before Halloween. Snatched them up with the thoughts of brownies immediately! 1. Spray 8×8 (or 9×9) pan with non-stick spray. Preheat oven to 325*. 2. Melt butter in microwave. 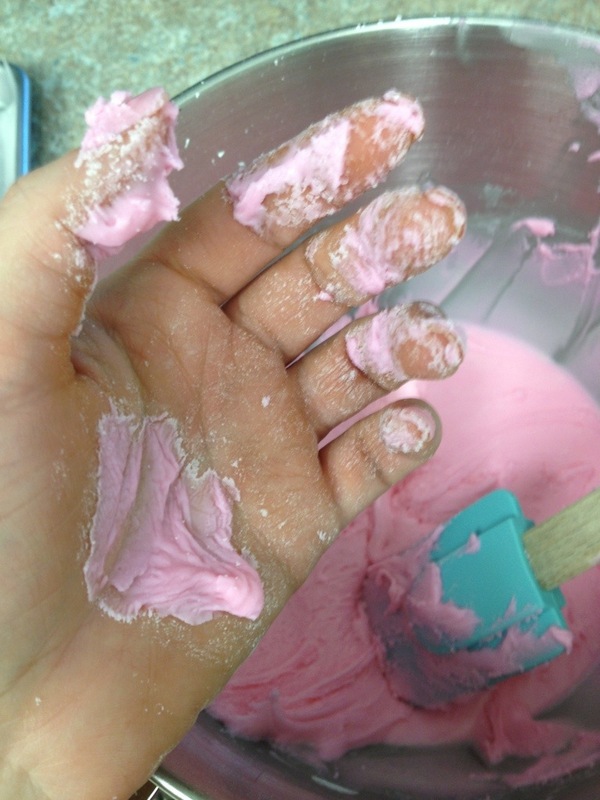 Beat with sugar until it becomes a grainy paste. 4. 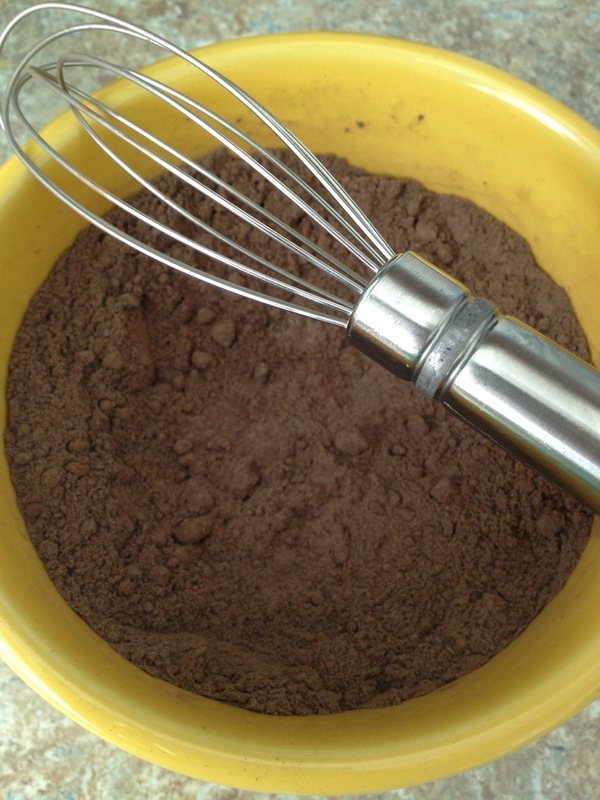 In a separate bowl, whisk together flour, cocoa powder, and salt. 5. Slowly add to sugar mixture until mostly incorporated. Batter will be thick. 6. 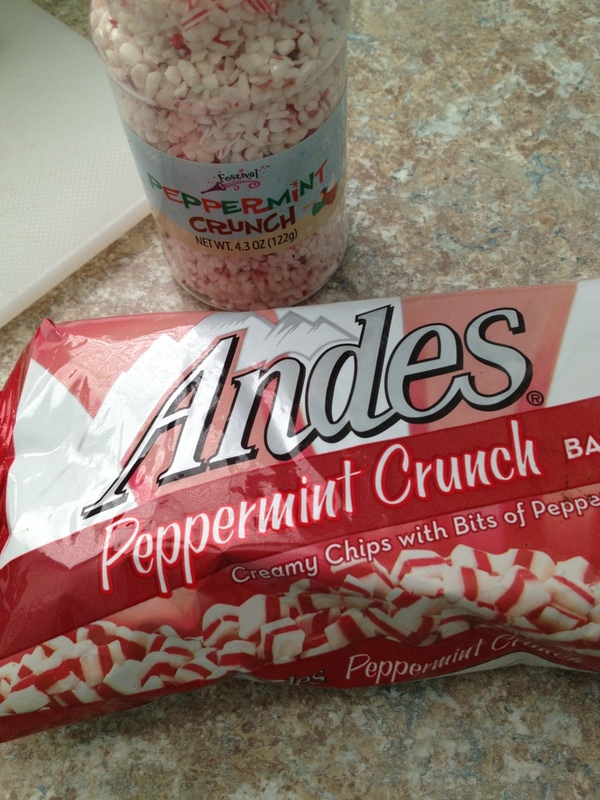 Mix in peppermint chips by hand. Pour into prepared pan and smooth out as best as possible. 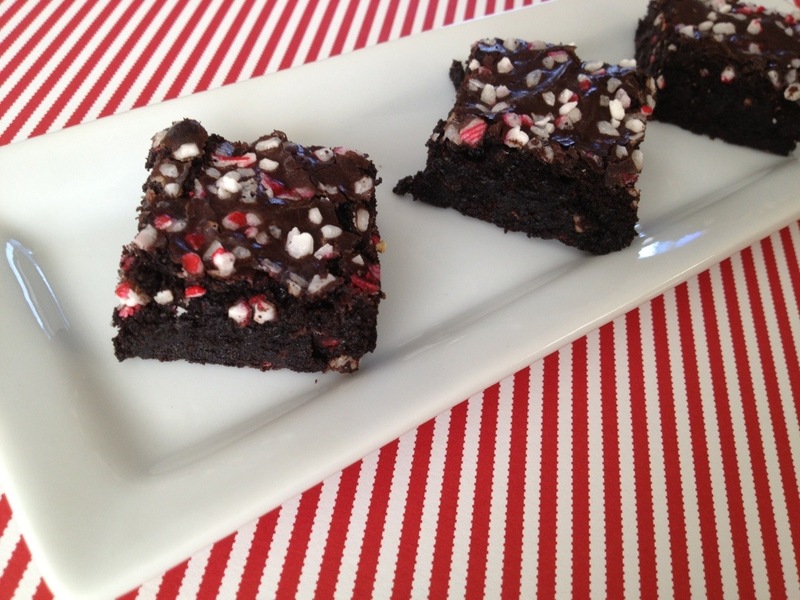 Sprinkle with crushed peppermint candy if desired. I desired. 7. Bake at 325 for 30-35 minutes or until toothpick inserted in the center comes out mostly clean. 8. Let cool completely to set before cutting. I thought the chips would completely melt into these, but you can see some of them peeking through in my taste tester below. 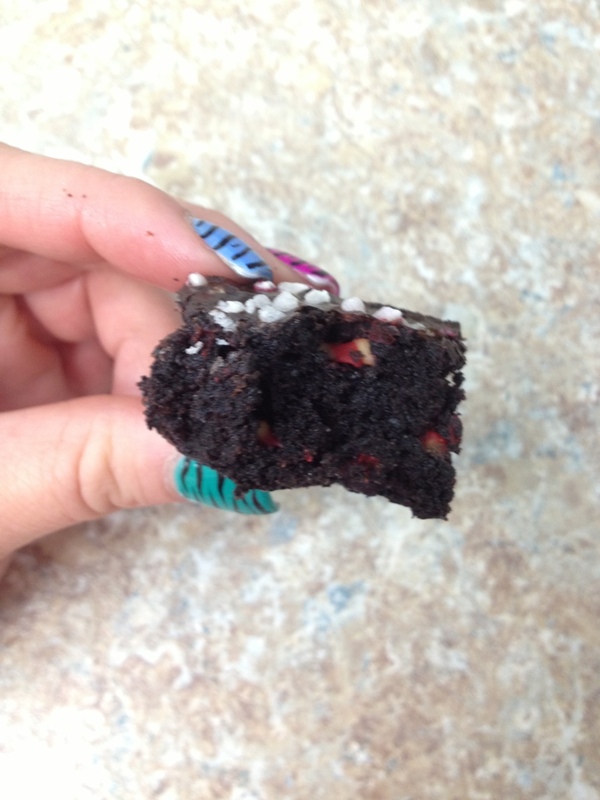 The peppermint flavor and smell magically soaked into the brownie itself too. It was just the perfect punch of peppermint without being overpowering. 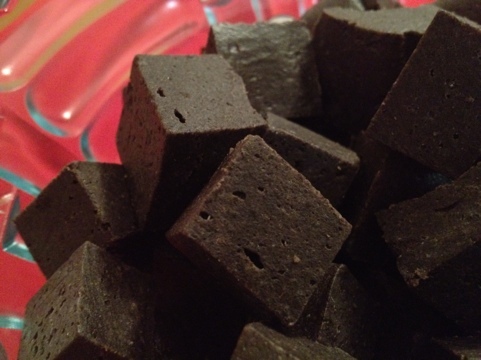 The brownies themselves were dense but not super fudgy. Not cakey either. Almost like a dense, thick, rich cookie. Unlike any brownie I’ve ever had. They’re pretty spectacular. Make these and get into the Christmas spirit with me!